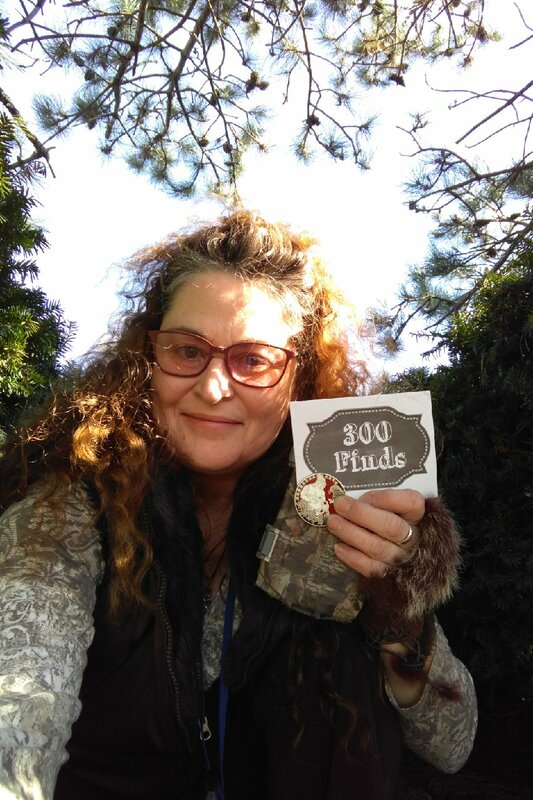 300 and it's a Burning Bush! Yup. Got my 300 - I figure if I get three per day on an average I'll hit a grand by the end of the year. More achievements to make more pins to buy. 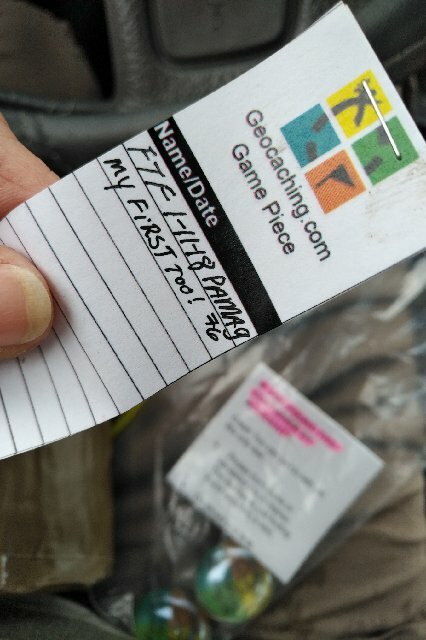 Dropped my second tag to go to England so my friends there who cache can find them. 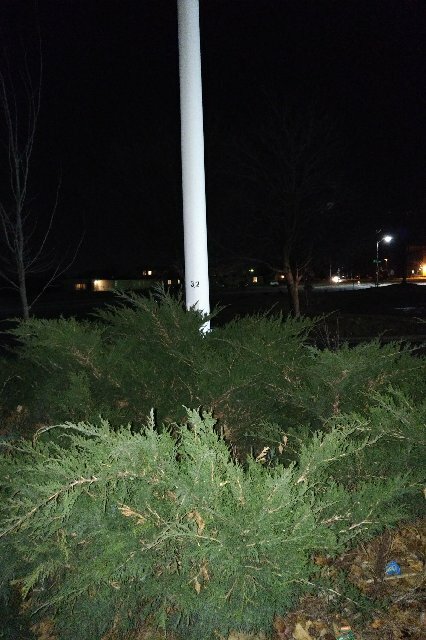 I actually had trouble finding this because of so much strange garbage in the bushes. 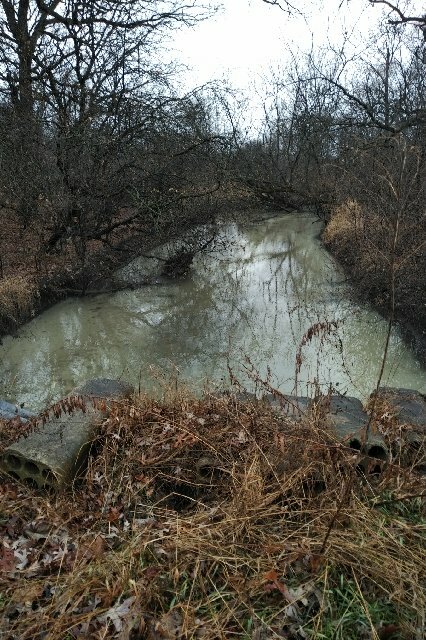 but with the help of the CO I logged my find. 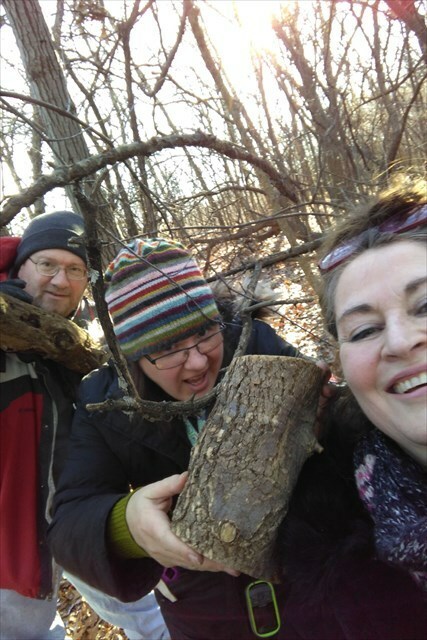 It was blustery in the bubs – but I got both my 24 in 24 and 48 in 24 achievement awards with the help of my newest geo-caching pals who were willing to walk over 4 miles with me caching as a group. 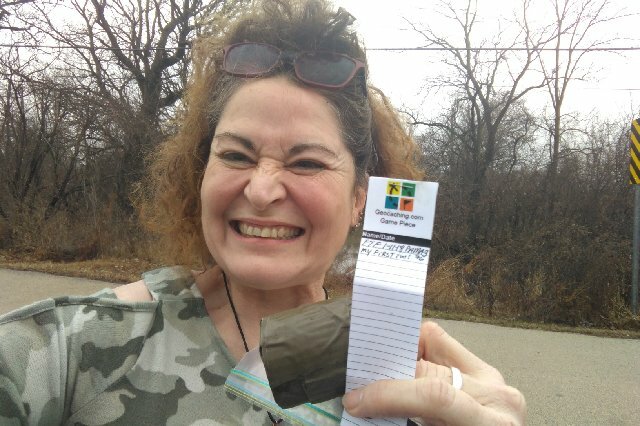 As soon as I started geocaching back in July, I knew it was everything I loved. A kind-a sneaky game, with this huge “underground network” that I would challenge myself and play against myself – without needing to “hang with anyone” to do it. AND feel comfortable enough alone to attend events, meet new friends, and put some faces to names I see on the logs I sign which just makes it even more fun. Every aspect of this game appeals to me. 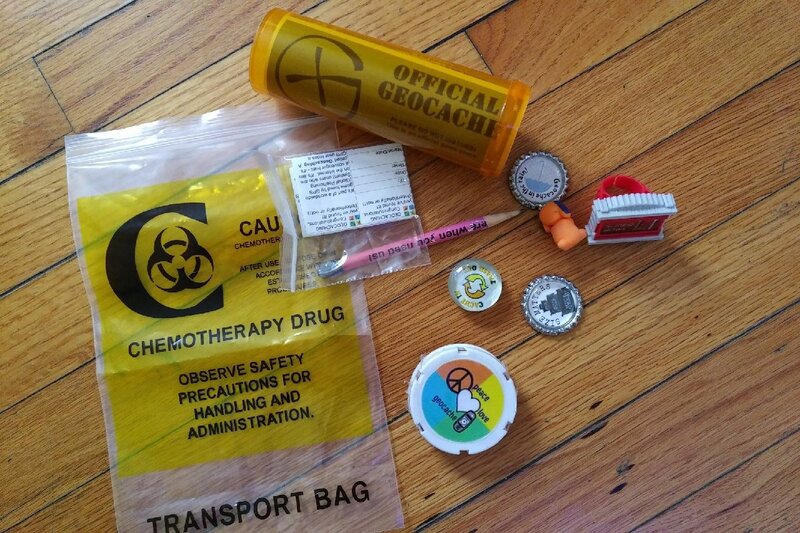 And today – I am most happy to report was my “best” Geocaching day SO FAR. Quick setup. 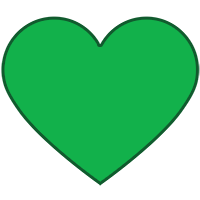 I’m doing the 366 challenge – a year and a day 11-11-18. It is crazy cool (to this pagan) that they offer a coin for that. 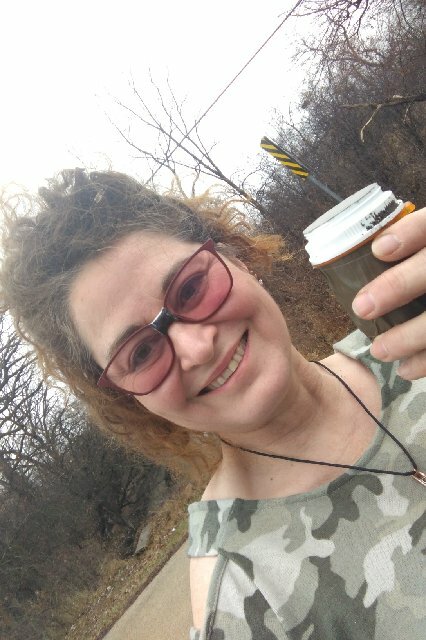 So – I set my sites on it right away - only to learn how intuitive to have started a challenge like this right away allowing the easy and closest finds around where I live to be available for me in the accumulative total of my days. Altho Im not apposed to making a drive for a cache… 366 days is a long time. It was good to start right away before I drained the local area. So, Saturday, I attend the Breakfast In The Blustery Burbs 2018 By Greenback GC7EMPD. Started my day at 5am and made the drive to meet the sunrise coming over the Golden Corral Restaurant in Tinley Park. Tons of people were there. Very cool. Saw a few other faces I recognized. Met Reviewer Smith finely! (really nice guy – regardless of how many times he has you change your listing – jk. grins!) . Voted on photos (next year Im in!) And ate a sweet breakfast and sat with a couple I recognized from a previous event I attended Taco Tuesday. Everyone was so nice. Finely back at my car parked back at the restaurant.I just couldn't believe it? How super nice. I even got to discover the jeep I was traveling in. I never imagined I could get24 finds in one day and it was only noon. Thanks Paul and Amanda for taking care of me and helping me. I ordered the achievement coin 24 in 24 and had it engraved your names on it. 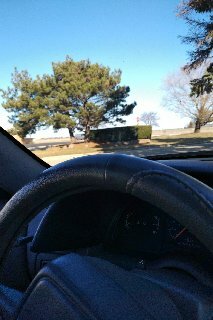 I jumped into my reciently made trackable little red la baron convertible and checked the geocache map. There was a cache just ten feet from me in the restaurant parking lot. Well I HAD to get that one. I recognized several names on the log. Then a second one was just on the other side of the lot, and then a third – this mall goes on forever and so do the caches. 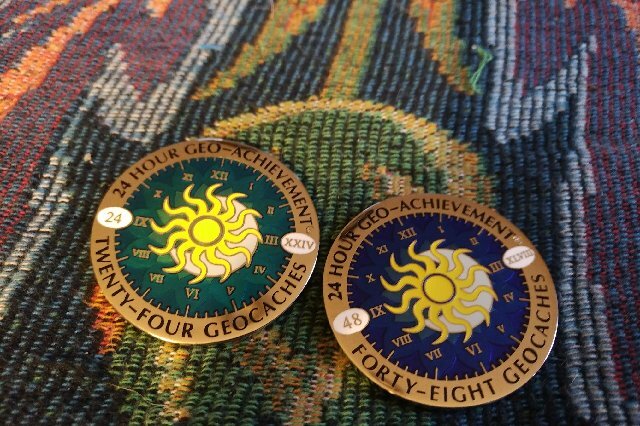 By 5pm I was just a few finds short of the ext geo achievement award and had to keep hunting - only to have two DNFs all day. I made the 48th find GC69T2D Streaking #11 This is streaking heaven! placed by tattooedmomof4. Be on the lookout for my second commemorative trackable 48 in 24 coin. I grabbed some food and started the drive home. Exhausted. The sign of the “SHORT STAY” Hotel popped into my mind that I had passed coming here. I thought to myself - Only in Chicago. As soon as I got home I got on line and purchased my coins. Gosh I love this game! 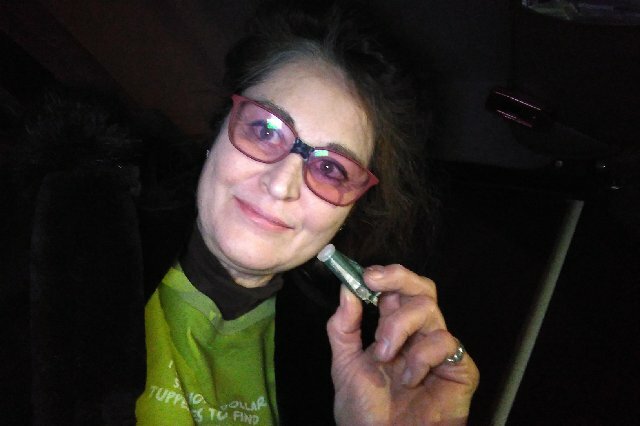 Today I found my very FTF. I had to drive an hour for it! I saw the post yesterday about 2 hours after it was published and I figured by the time I get the there (it's an hour drive for me) someone else will have it. 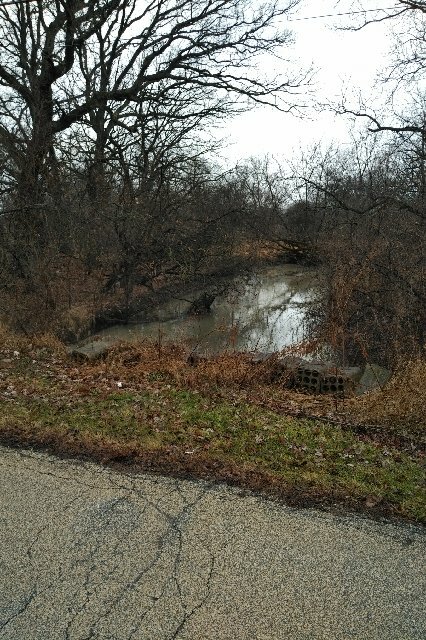 Then, I checked late last night and still no one had logged FTF and I thought maybe I should jump in the car and talked my self out of it thinking a girl by yourself in the middle of the night... that might be too far from home to identify my bloody body after my murder, so I stayed home. So today - I checked again and I couldn't believe it. 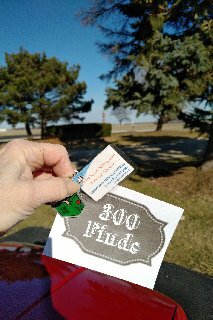 Jumped in the car and made a mad drive January 11, 2018 on a 60 Degree day in Chicagoland. Wet foggy, and a little muddy I found the container and enjoyed the view. I left behind some of my anti muzzle swag and my name on the log for the very first time I got to write FTF I'm so excited! 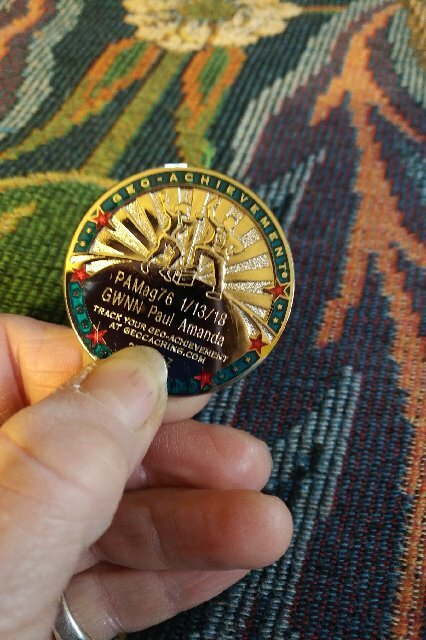 Be on the lookout for my new PAMag76's First FTF Find Commemorative Coin https://coord.info/TB8B02G Im going to drop it in it's first geo cache soon!